It was 10 years of difficult time for her. She was working 6 days a week and being on call 24 hours a day. She felt like a fireman. However, she is a nurse – the only nurse of Bantay Bata 163. But for Loreta Ann Trinidad, she is exactly where she is supposed to be, at the Children’s Village where rescued children were housed. It is a healing place that can calm the bruised hearts of abused kids. Loreta, fondly called as Tita Ann, was assigned as the Home Care Supervisor of Children’s Village in 2003. “I feel happy to see kids heal from their physical and emotional scars. Those children who used to cry a lot, or with too much anger, could now face the world with optimism. After their stay in Children’s Village, they could finally play with other kids and ultimately, learn to trust again,” she shared. The Children’s Village is specifically designed for healing. The design is authentically Filipino. There are inner rooms, covered balconies and outer verandas. Natural indigenous materials and soft colors were used while avoiding sharp angles. Children felt safe, yet, free. The Children’s Village is both a home and a school. It has Therapy Hall (Clinic and Examination Rooms), Bantay Bata Library, Dining Room and Centralized Kitchen, Social Services Hall, Seminar Hall, Meditation Room, Visitor’s Lounge, Arts & Crafts Room, Practice House, Music Room and several cottages. More than being a successful infrastructure, the Village is where the transformation takes place. Children whose hearts were hardened because of abuse would be softened as the surroundings are filled with flowers and music. The Children’s Village is a promise that despite their unfortunate past, a brighter future awaits them. 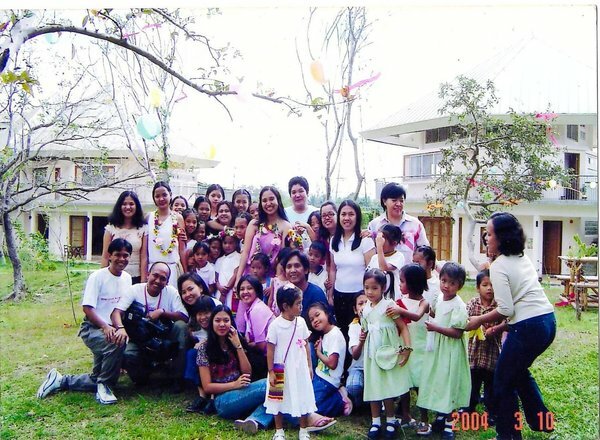 Tita Ann has stayed on, long after Children’s Village had closed its doors for rehabilitation. She continues to cater to children with medical needs. Tita Ann was recently given the prestigious Lopez Unsung Hero award, a special recognition by the Lopez family and Group of Companies for extraordinary work. The Children’s Village is set to be re – launched in December. Different organizations have extended their support for the village. The ABS-CBN Ball 2018 set on September 29, 2018 is another platform to help the rescued and assisted children of Bantay Bata 163.